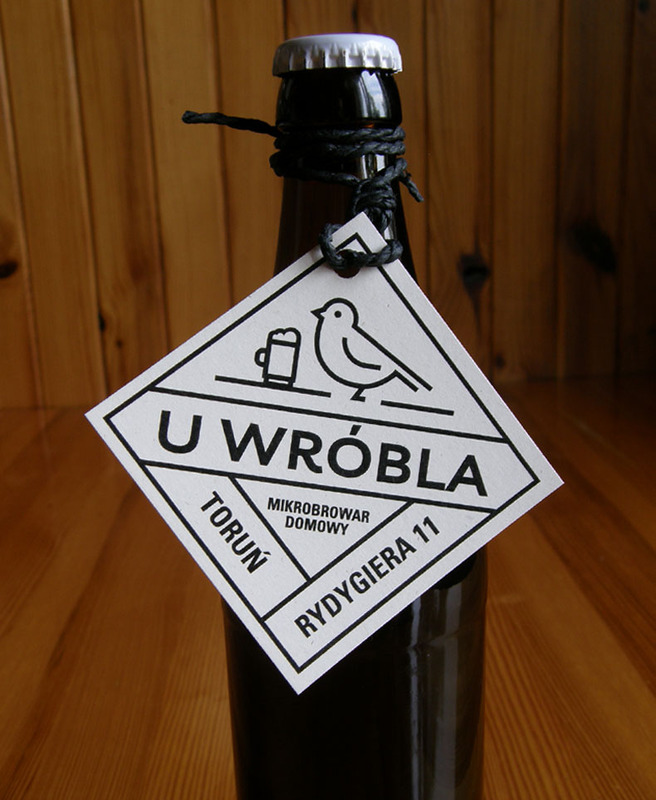 “U Wróbla” is a home microbrewery established by a man who is passionate for the amber drink and enjoys sharing it with friends. We have designed a logo that alludes to the owner’s and beermaker’s nickname. The front of the label is universal, while in the back there is space for handwritten information about each brewed beer.